ARM single board computer featuring high performance in a low-power envelope. Single Board Computer implemented by the combination of a CM-T3517 module and a SB-T35 baseboard. Note: some of above specified features are optional. 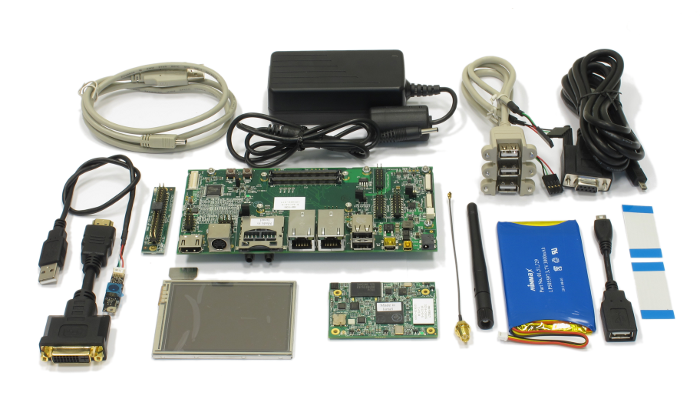 The SBC-T3517 is a small single board computer based on the Texas Instruments AM3517 processor. It is implemented by a CM-T3517 module providing most of the functions, in combination with SB-T35 carrier board providing connectors and several additional features. The rich feature set of the SBC-T3517 is customizable according to the price / performance targets of the user's application. The CM-T3517 features Texas Instruments’ Sitara AM3517/05 system-on-chip based on the advanced Cortex-A8 ARM CPU with a PowerVR SGX GPU providing 2D / 3D graphics acceleration. For embedded applications, the SB-T3517 provides a 100Mbit Ethernet ports, CAN bus, serial ports, I/O lines and other essential functions, while the integrated WLAN implement industry standard wireless connectivity. The "SB Option" column specifies the P/N code of SB-T35 carrier board required to have the particular feature. The "CM Option" column specifies the P/N code of CM-T3517 required to have the particular feature. SBC-T3517 content is the combination of features provided by the attached CM-T3517 and the features implemented on the SB-T35. To have the particular feature, both the CM and SB options of that feature must be implemented. Supply Voltage High efficiency switched power supply. 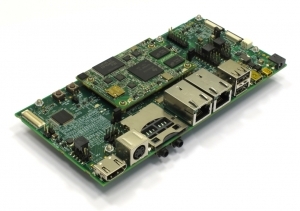 Note: The SB-T35 base-board must contain a CM-T3517 module for the implementation of a self-contained SBC. Options specified on this page refer to the SB-T35 only.